With a working roller coaster that slides into a lake, a zip line, a rock wall, a legion of mountain bikes, and a blob, it’s difficult to imagine that we could find more programs that boys could love. We have had the staples of a traditional boys camp for years with a tried and true formula that we know works. Our previous forays into art have been very popular including pottery, arts and crafts, blacksmithing, woodworking, and music. Sure, you may have heard of a theater camp, an entire program dedicated to Shakespearean monologues and learning how to cry. Some people go to camps specified for these tracts. It’s a niche that some go all-out for. With the completion of our new gymnasium, we have also paved the way to fill our own niche. We have the facilities and the talent to make a theater program nothing short of fantastic. Leading the program will be Flat Rock Playhouse veteran Tania Battista, who has worked there for 15 years in every role you could imagine, bringing with her a room-full of props, costumes, and a cast of experienced instructors. 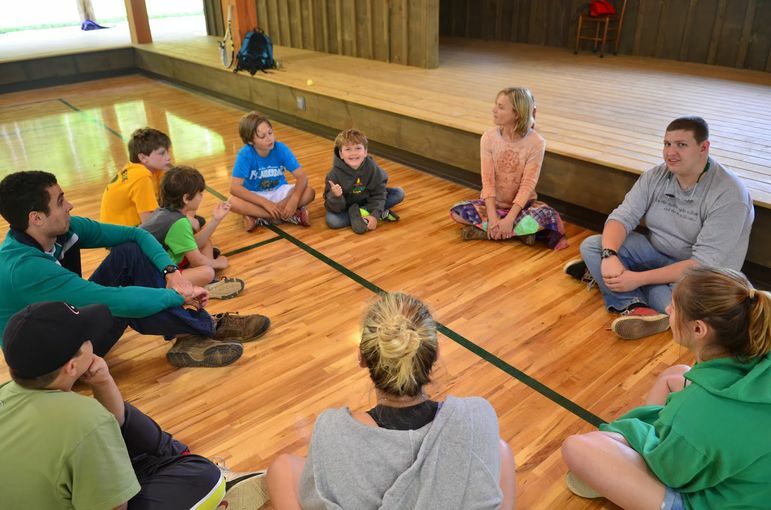 The program will offer gritty character development for those interested in acting serious, as well as skit writing for those interested in acting goofy. If you think that Battista plans to stop there, you would be incorrect. She is also re-energizing our music program. To some of you, music lessons may seem like a group of people getting together with plastic recorders playing Mary Had a Little Lamb. Our program will include instruction in any stringed instruments you can get your hands on, with the guitar, ukulele, and mandolin for starters. If you are feeling creatively limited with something as conventional as an “instrument,” then not to worry, because part of Battista’s instruction requires you making an instrument from objects in your environment; the liquid in your coffee mug, an old coke bottle, a handful of gravel. You are only limited by your own creativity. If you think that Tania can rest easy knowing she has brought two programs from scratch into camp, you still don’t know the whole story. Teaming up with marching percussion aficionado Kym Haywood, Battista is taking her musical talents to the next level. From her experience working with Babatunde Olatunji, African Soul legend and beloved musician, Tania plans to introduce the art of the Djembe drum, a traditional West-African instrument. 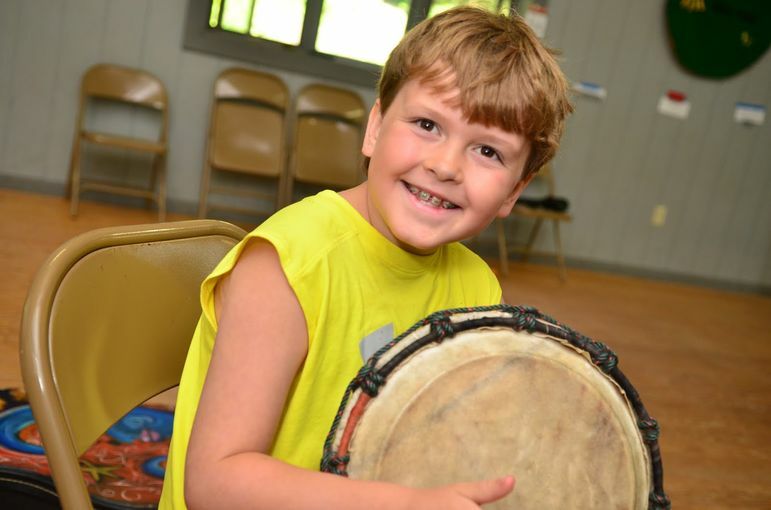 To compliment the traditional drumbeat, Haywood plans to show the other end of the spectrum with a marching flourish to complete the ensemble.Together, the two are unstoppable, and have 15 new Djembe’s for campers to play on. I'm so excited!!!! June 22!